His story is a bit of a mystery. “They guessed that his owner may have been an elderly person or immobile, so they weren’t able to give him exercise. 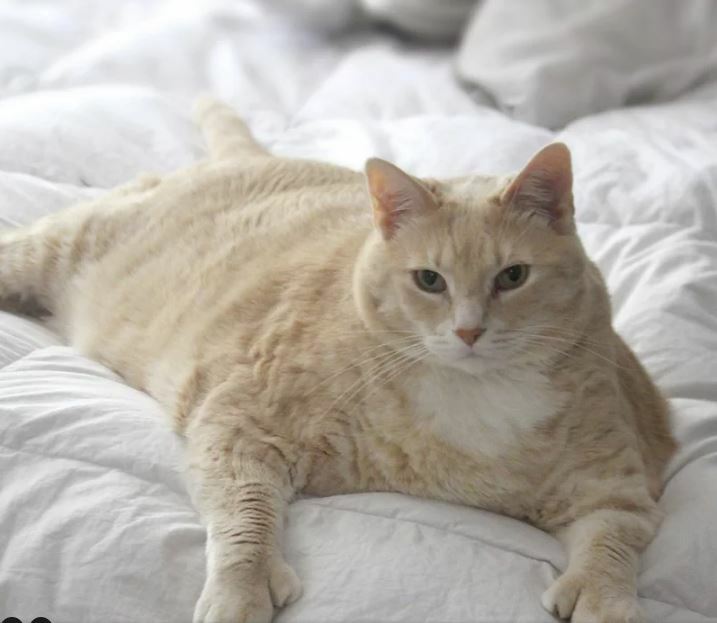 They also guessed that he was either overfed or fed people food because he’s only 3 years old and has gained the weight so quickly,” Mike, who adopted Bronson from the Humane Society of West Michigan told PEOPLE. 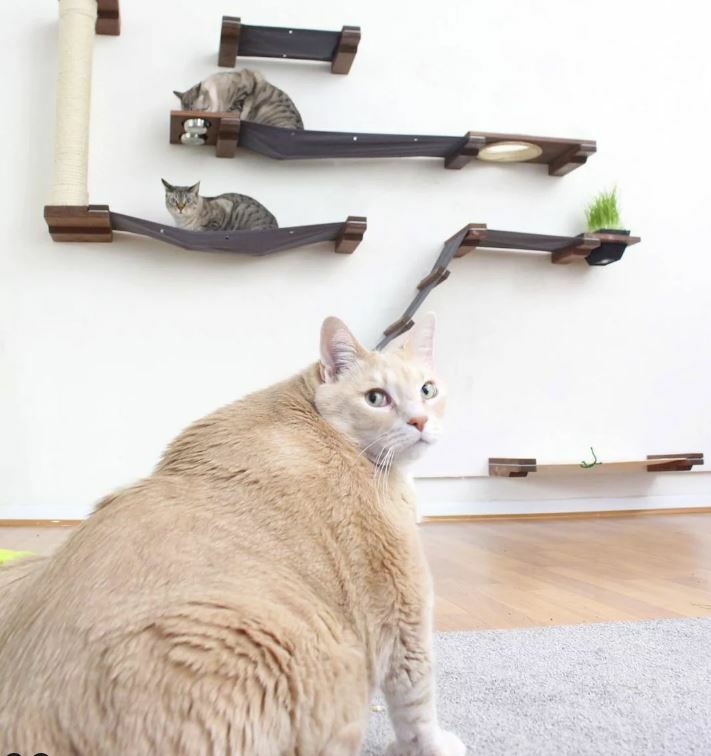 Mike and Megan had gone to the shelter to find a kitten to join their family of felines – Ickle, Heisenberg and Gwildor – but instead found themselves falling in love with the chubby boy. And the couple is making good on their promise. To date, Bronson has lost over a pound and a half. Fans can follow his progress on Instagram @iambronsonthecat or his Facebook page.